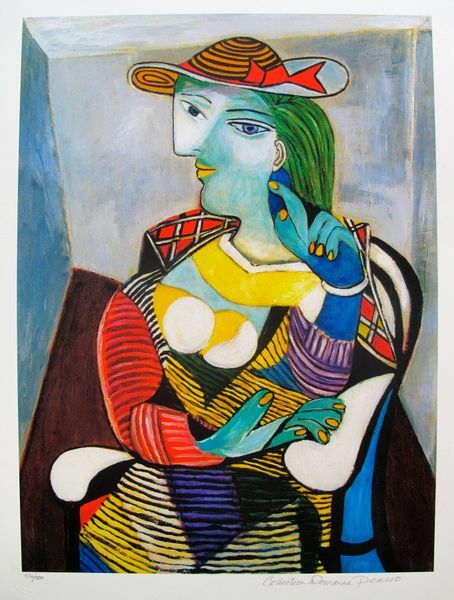 This is a PABLO PICASSO (ESTATE COLLECTION DOMAINE) (1881-1973) giclee titled “PORTRAIT OF MARIE THERESE WALTER”. Pablo Picasso Portrait of Marie Therese Walter Giclee (ESTATE COLLECTION DOMAINE) (1881-1973). This piece is pencil hand signed on the lower right as ‘Collection Domaine Picasso’ and has an embossed seal stamped by the Picasso Estate. Pencil numbered from an edition of 500. Published on thick quality archival paper. Paper with border measures 26″ x 20″. In mint condition, comes unframed. Comes with a certificate from the Picasso Domaine Collection. 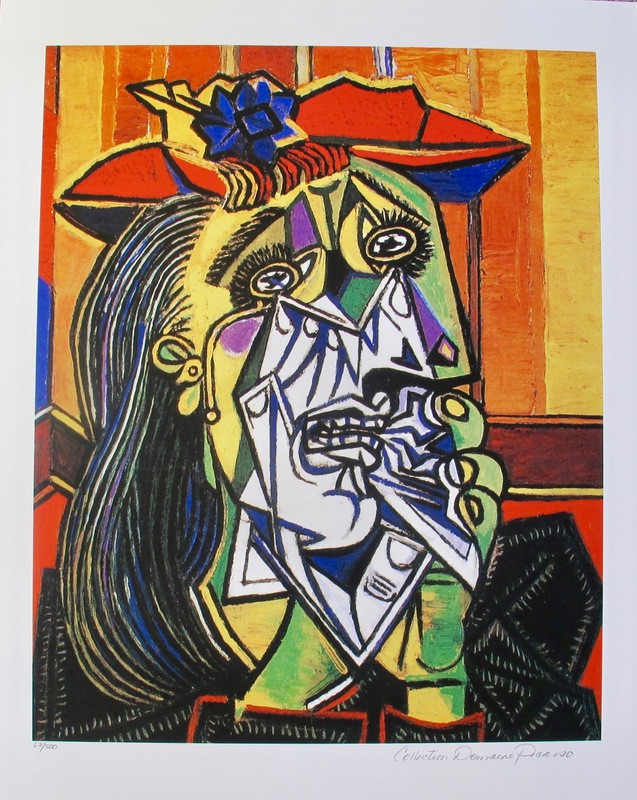 THIS IS THE BEST PRICE YOU WILL FIND ANYWHERE FOR THE SAME PABLO PICASSO PORTRAIT OF MARIE THERESE WALTER GICLEE! Because there is no visible dot screen pattern the resulting image has all of the subtle tonalities of the original art. Each dot may have over 4 billion possible colors! Brilliant color and rich texture have made giclée prints the reproduction of choice for artists, photographers, museums, galleries, and collectors. Giclée editions are usually smaller in number than lithography, serigraphy, or offset printing, making them much more valuable. Unlike traditional printmaking processes, the last printed image in a giclée edition will be as vibrant and clear as the first one. 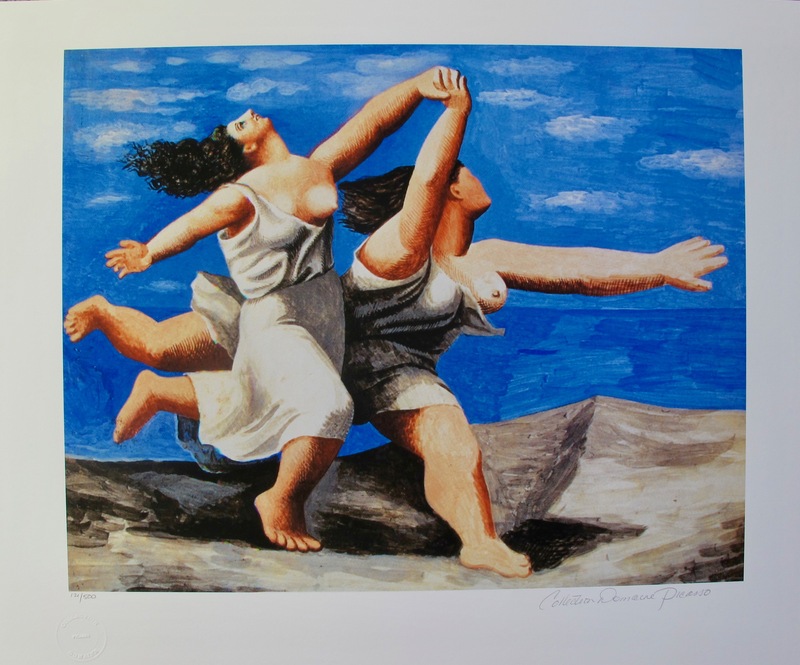 This fine art Giclée is as close to a Picasso original as you will find without spending hundreds of thousands of dollars! 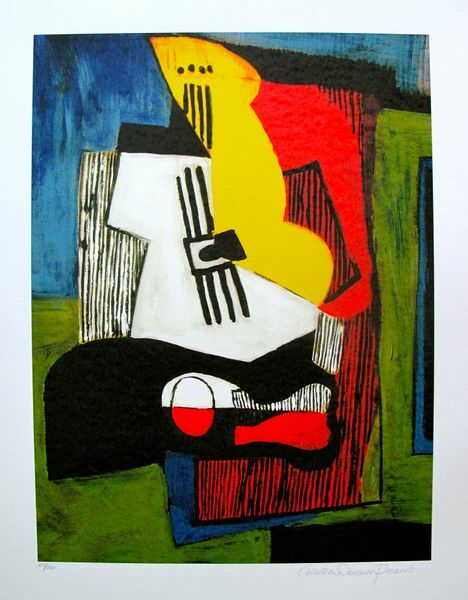 Be the first to review “#12 PORTRAIT OF MARIE THERESE WALTER Pablo Picasso Estate Signed Giclee” Click here to cancel reply.